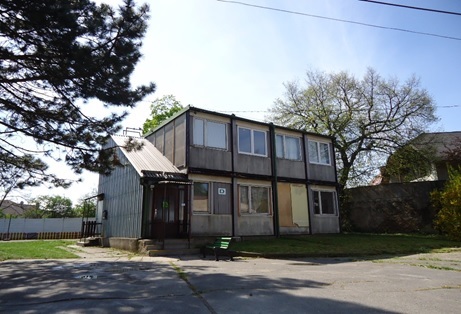 The Christian Help Center Horní Počernice was founded in 1999 and its vision is that: Families should stay together even in difficult times. In the course of events, families can end up on the street even in the matter of one day: as it were in the next story. In June, Marie, 32 years old, mother of two children, turned to us for help. Her husband is an alcoholic with a very violent nature, and so after many years of abuse she decided to run away. She asked for substitutional stay at our asylum house. The mother suffered anxiety, worried for her own life and the lives of her children. In the beginning she did not have any money for living and it was necessary to support her so she could find balance and stability again on both a personal and financial level. She ended her stay in the asylum house after eight months, when a social flat in Prague 9 was established for her. At the same time she stopped being dependant on social benefits, because she found a stable job in her field of expertise. She evaluated her stay at the Asylum House as the crucial point in her life. She found self-confidence and ability to stand on her own feet. Home is the most important place in life for many of us, that is why we offer our substitutional homes to families who have lost theirs. During 19 years of existence we have provided accommodation to more than 2,600 clients and thus prevented many families from falling apart. Asylum House provides an essential service, with not only living accommodation, but also the support and aid of a psychologist, social workers and a pastor. Quality of service is one of the values we advocate; we put great emphasis on the comfort and improvement of humane living conditions. The structure of the Asylum House complex is that it is based on several buildings incorprating living accommodation, administration and support services. Thanks to the support of many donors, in the last year we managed a reconstruction of one of the important buildings allocated for living. However, we still have to replace another such building that has, for a long time been in a very unsatisfactory state. We need to demolish the old structure completely, and replace it by building a new living complex from housing containers. The structure will provide comfortable living for up to 5 mothers with children; these are mothers who have ended up on the very edge of society. 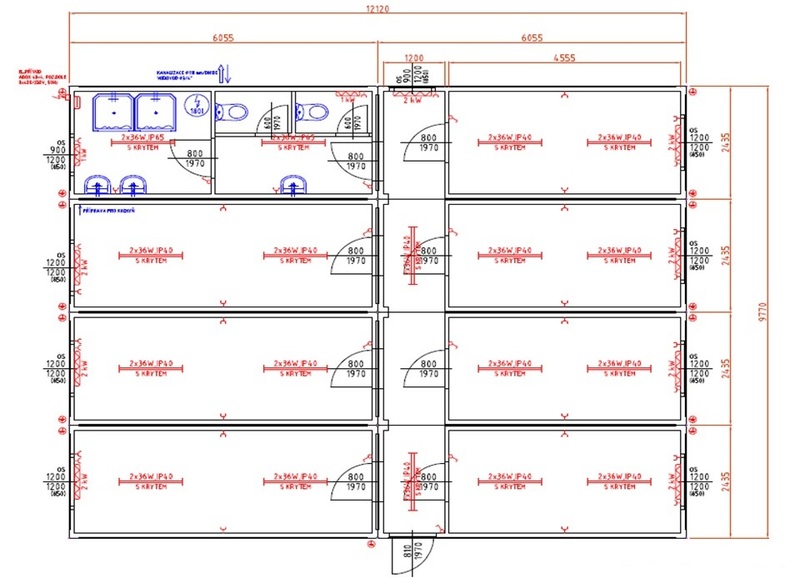 Floor plan of the new building . The complete estimated expenses for making the structure are 3 200 000 CZK. We cannot initiate the project until we get the whole sum. We still need 500 000 CZK (20 000 €) which we would like to get through the support of private donors. The aim of the project is to move mothers with their children to a new, comfortable and safe environment before this winter. If we do not succeed in the given time, the tragic situation will continue for many mothers suffering a similar existence as Marie, living on the very edge of society. A delay of just a few months will mean that for many of these mothers and families it will be too late. We believe that with your help, this scenario can be avoided and we will make our goal together, providing not only accommodation, but support and education to give our mothers hope, independence and confidence to make a positive future for themselves and their children . Help us make this future.